Squeaky clean: great for glass…fatal for face. We’re taught that getting our skin “too clean”- i.e., stripping away skin’s natural oils – is a skin care no-no, and will lead to all sorts of unsavory results: wrinkles, pimples, redness, flaking, etc. Not that that ever stopped me. For some deep-seated psychological reason with which a shrink would probably have a field day, I’ve never felt my cleansing was complete until my skin literally squeaked. To that end, I exclusively used soapy, foamy gel cleansers. During the steamy days of summer, I felt completely justified about this habit. The mixture of sweat, skin care products and good ol’ New York City grime seemed to call for extreme clean measures. But even in winter I’d wash my face like the dickens, and then have to slather on about 3 layers of serums/creams/oils/lotions/essences to re-dew my dermis. Now, though, perhaps due to the sickeningly swift approach of a certain benchmark birthday, I have been more receptive to creamier cleansers. While these more nourishing formulas don’t give my skin the squeak, I’ve found some that still leave it deeply cleansed and – a new experience – comfortable. The Cleansers: There’s One For Everyone! Binchotan Charcoal Facial Cleansing Mask. Whether I leave it on for 30 seconds or three minutes, I get complimented on my skin every time I use this 3-in-1 makeup remover/cleanser/mask. The charcoal’s natural detoxifying powers draw out impurities from pores which prevents future breakouts and absorbs excess oil. This product is a great choice for anyone who’s really fretting over foregoing the foam, as it cleanses skin so deeply you can see the difference in your pores. This liquid cleanser looks like latex paint when you first pump it out of the bottle, and it is slick and silky to the touch. 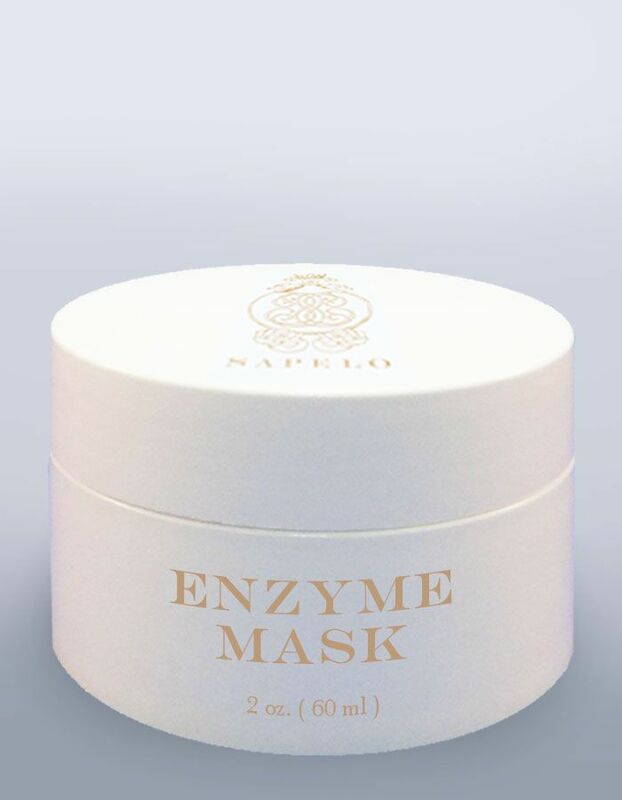 Just a little bit creates a thick mask, but unlike other dark detoxifying masks, it doesn’t dry up and harden, so it never leaves skin with that tight, parched feeling. When used as a cleanser, it just slides on and off easily with water. I massage it in with circular motions for about 20 seconds and then let it wash off in the shower. Unlike so many soapy/foaming cleansers, this one is truly safe for eyes – zero irritation or stinging, even when massaged in to remove mascara! It’s a “clean” cleanser, too: no parabens, alcohol, oil, fragrance or synthetic dyes. Heaven Skincare New Edition Cleansing Cream. I was (pleasantly) shocked at how well just a little dab of this featherlight cream completely and thoroughly cleaned my entire face and eyes. It also happens to be the first bee venom cleanser in the world, which gives it anti-aging properties. Bonus! This is the ultimate strong yet gentle cleanser; it’s creamy and comprehensive. For all green beauty queens, all Heaven Skincare products are made with the highest quality natural and organic ingredients, so the anti-aging effects are achieved without nasty and/or harsh chemicals. May Lindstrom The Honey Mud. This silky, pudding-like cleanser and mask gently exfoliates, detoxifies, soothes and conditions skin. It frees the skin of pollutants, infusing it with active enzymes and nourishment while restoring optimal hydration. Because it is so nourishing, it is a great choice for reactive or rosacea-prone skin. The Honey Mud not only looks like a delicious dessert, it smells divine as well. That’s thanks to its long list of active organic ingredients: Raw Honey is a naturally antibacterial humectant that promotes healing, Halloysite Clay deeply yet gently purifies and detoxifies and Colloidal Silver is naturally antibacterial, antifungal and antibiotic. Add to these skin superstars Cocoa, Vanilla, Ylang-Ylang, Frankincense and Myrrh, and you’ve got a unique product with a singular olfactory experience. This is something that May Lindstrom is truly a master of; not one of her products smell like anything else on the market (bravo, May!). Personally, I wouldn’t use The Honey Mud every single day (it’s a little to gentle and a lot not cheap), but what a treat it is a few times a week! Leave it on for a minute or two in the shower, enjoy the aromatherapy, then rinse off…I like to use a washcloth to remove for a little extra scrubbing effect. Emma Hardie Moringa Cleansing Balm. Who’s the richest of them all? This jar par excellence, for sure. Emma Hardie is another natural, organic skin care line from the UK – coming VERY soon to Travel Beauty. This cleansing balm is Emma’s superstar product, having won about a dozen beauty awards since its launch just a few years ago. This balanced daily cleanser thoroughly cleanses deep in the pores, moisturizes and calms the skin. It removes all traces of face and eye makeup, and is so pure it doubles as a soothing and hydrating mask (just leave it on for ten minutes after massaging in). This is one of the best smelling products I have ever used, and yet it is completely devoid of any “fragrance”. The amazing scent comes from a long list of natural botanical ingredients (which also make it so beneficial for skin): Grape Seed and Sweet Almond Oil, rich in essential fatty acids, help to plump and soften skin, Moringa Seed Extract, Wild Sea Fennel and Vitamin E balance, purify and help minimize the appearance of pores, Orange, Neroli and Mandarin Essential Oils rejuvenate and revitalize the skin whilst calming the senses, and, lastly, Jasmine and Rose help to recondition dull, dehydrated and/or mature skin. Moringa Cleansing Balm starts as a solid, but quickly emulsifies into a luxurious liquid once you begin to massage it into damp skin. It feels and smells so good, I think I go into a bit of a trance every time I use it. Whether I’m in the shower or standing in front of my bathroom mirror at the end of a long day, I zone out a bit as I massage it in. Since it is so nourishing, you may only want to use it morning or night, depending on the moisture needs of your skin. If you choose to use any of these as a mask, I HIGHLY recommend adding several spritzes of Vine Minus Ion Care Water to your mask ritual. Why? This negative ion water is 170 times more absorbent than regular water, so it provides mega-moisture to skin and hair. Used in conjunction with skin care products, negative ion water works as a driver, boosting the effectiveness of those other products. Also, due to its pH of 12.5, bacteria cannot live in it, making it an insanely effective germ and bacteria killer. Vine Care Water is the perfect partner to whichever cream cleanser/mask you use.